One of our goals at North Shore Colonics is to educate you. Throughout the site you will find articles and explanations covering your colon, digestive track and colon hydrotherapy. People from all over Chicago’s North Shore Suburbs come for treatment and use our site as their source for colon hydrotherapy information. If you have questions or would like more information about colon hydrotherapy we can be reached at 773-551-5083 or by email. Understanding the Colon – A page devoted to the colon, what it does and how it works. Understanding the Digestive System – A page devoted to the digestive system, what it does and how it works. 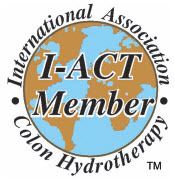 Indications and Contra Indications for Colon Hydrotherapy – A handy chart that has some general guidelines for when and when not to have therapy. General Information About the Colon – Comprehensive article about the colon and colon health. Colon Hydrotherapy is Like Cleaning Baked Lasagna from a Pan – Article by Dr. Pamela Whitney using baked lasagna used as a metaphor for colon cleansing. Value of Colon Hydrotherapy Verified by Medical Professionals – Discusses Colon Hydrotherapy and medical endorsements by Morton Walker, DPM. Colon Hydrotherapy Frequently Asked Questions – Answers to the questions and concerns most people have about Colon Hydrotherapy. Colon Hydrotherapy Explained – Concise explanation of what Colon Hydrotherapy really is. Why Colon Hydrotherapy – Explanation of why someone would have Colon Hydrotherapy. What happens during Colon Hydrotherapy – Takes you through what actually happens during your appointment. Colon Problems – Problems that may be caused by a stagnant colon.